Many adults don’t want to straightening their crooked teeth because they don’t want to wear what they consider to be “ugly metal” braces, and certainly, they don’t want to do so a significant length of time. A typical course of traditional orthodontic treatment may take two years. 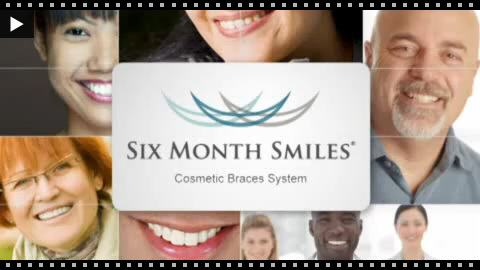 Six Month Smiles is a revolutionary new treatment that has taken the best aspects of braces, and modified the treatment and the materials to give adults a common-sense, cosmetic solution that fits your lifestyle. The Six Month Smiles Lucid-Lok™ clear brackets and tooth-colored wires are far more discreet than traditional braces. In fact, they are barely visible. . They Six Month Smiles braces are often only worn for 6 months in order to correct cosmetic alignment issues with the teeth. The focusing of this system is the teeth that show when you smile, as opposed to correcting the way you bite. By focusing on correcting and moving the teeth that show when you smile. By focusing the treatment on the "look" of your smile we can achieve must faster treatment times. At regular appointments with your dentist, adjustments are made so that your teeth are gently moved into more desirable positions in order to create, a beautiful smile. After your treatment with the Six Month braces is complete, a permanent retainer will be needed to prevent your teeth from moving back. 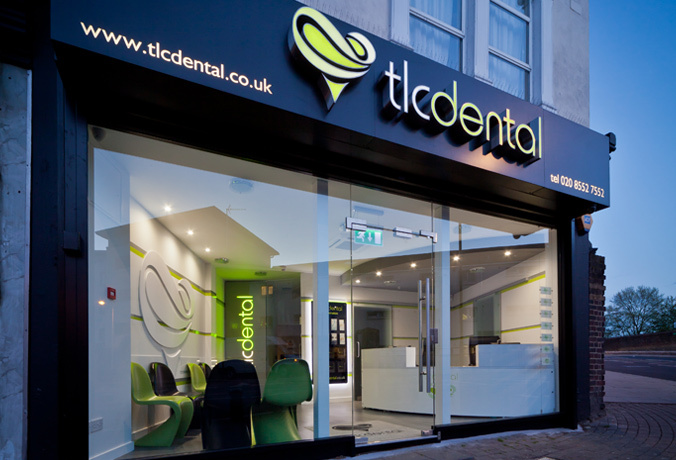 By combining tooth coloured wires and clear brackets, with short treatment times, and a relatively cost effective alternative to traditional orthodontics, we are proud to be offering this new and exciting cosmetic solution at TLC Dental. Please contact us to discuss if this treatment is suitable for you. Quick Straight Teeth™ overcomes four of the major factors that stop people getting orthodontic treatment to straighten teeth. Quick Straight Teeth™ is the most affordable, comfortable and effective way of straightening your teeth to give you a perfect smile. The invisible braces work by only concentrating on the front 6 to 8 teeth. Quick Straight Teeth™ braces for teeth can correct mild to moderate problems quickly, making it more affordable than similar options and more agreeable to patients to have straighter teeth and affordable braces cost. The Quick Straight Teeth™, invisible braces system uses only clear braces (brackets) and tooth coloured wires, making the clear braces virtually invisible in the mouth. Quick Straight Teeth™ braces are worn for only a very short time by comparison with traditional braces, ensuring it is a fast, cost effective way to have straight teeth. Quick Straight Teeth braces have been designed to ensure optimum wearability and comfort for patients. The braces will not only look discreet, but feel extremely comfortable. With the majority of Quick Straight Teeth products coming from 3M, we are able to provide the gold standard in orthodontic products. Dentists East London - Six Month Smiles has taken the best aspects of braces and modified the treatment and the materials to give adults a common-sense, cosmetic solution.